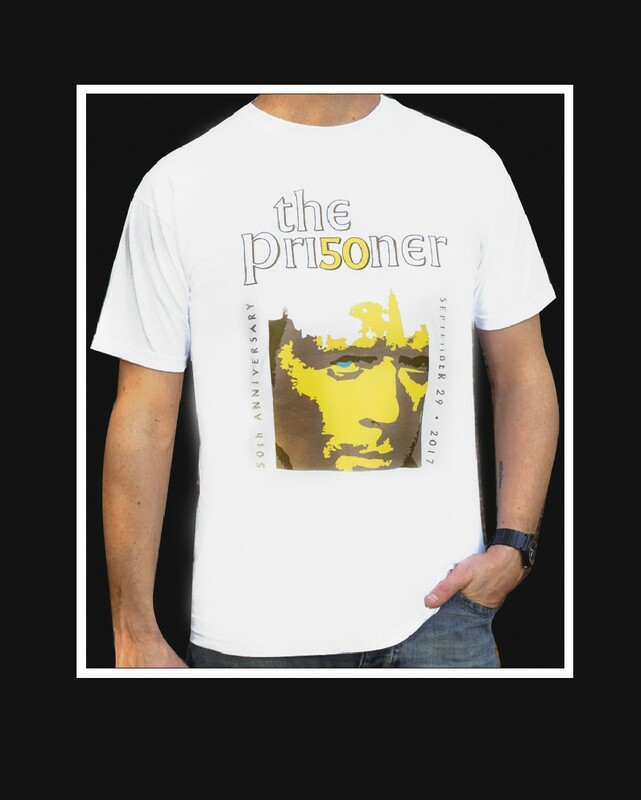 The Pri50ner t-shirt. 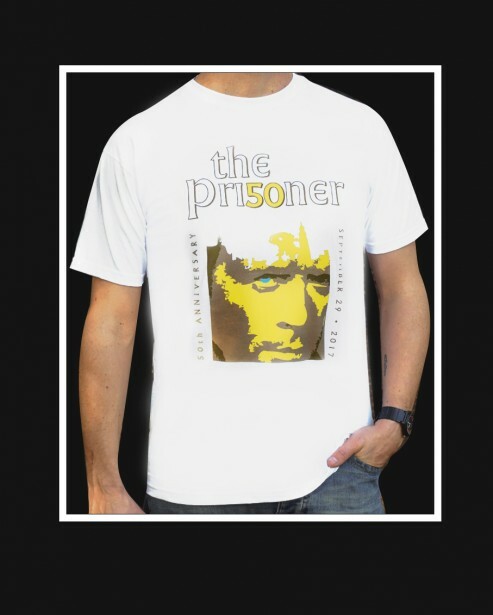 Specially produced for the series fiftieth anniversary and featuring a specially commissioned branding, this unique t-shirts are available to purchase in strictly limited quantities. Classic short sleeve crew neck printed Fruit of the Loom T-Shirts.